24 inches by 24 inches, Framed with checkerboard border, embellished with pennies. Custom hand painted folk art by Grego Anderson. You Pick the Singer, Guitar Player, Actor, Politician – or even yourself! 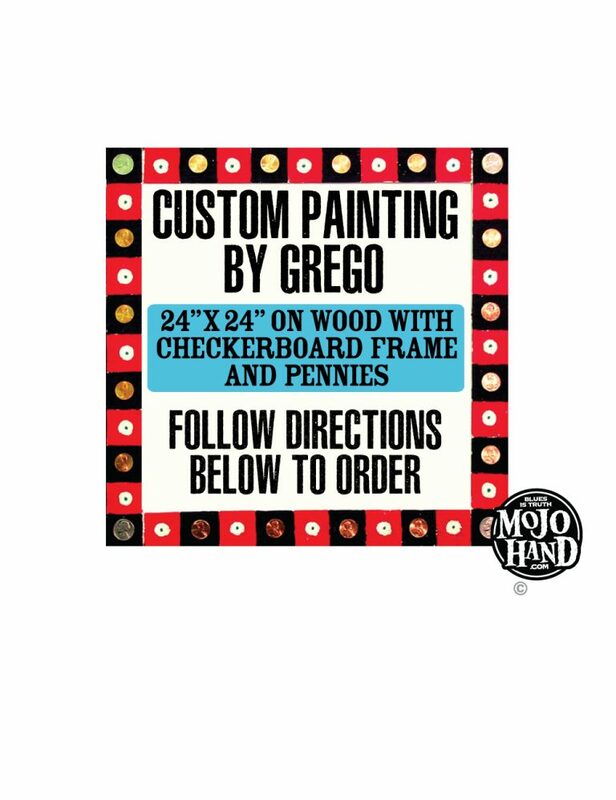 Click Here to email Grego directly to discuss your painting first – If the painting is of yourself or a friend, please include a high quality photo with your request. I will examine it and return your email ASAP. These take about 2 weeks to complete. Rush service is available. USA ONLY ON THIS SIZE.